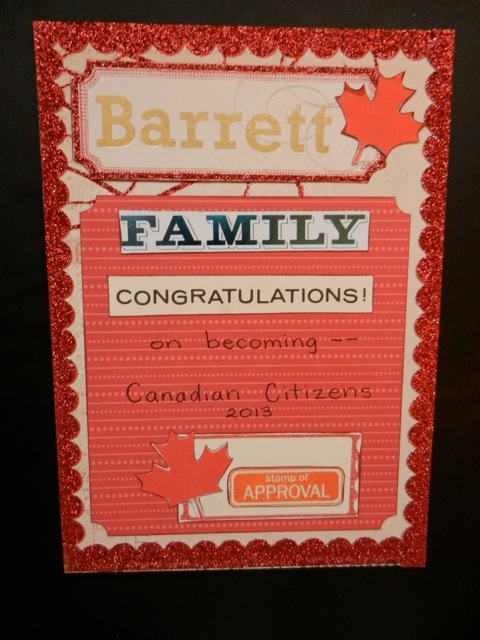 One day in September became special for the Barrett family, who met in Kelowna BC to become Canadian Citizens. Henry and Florence passed their citizenship test with flying colours but Florence couldn’t become a citizen on the day as she’d mislaid her UK passport and couldn’t prove her identity. 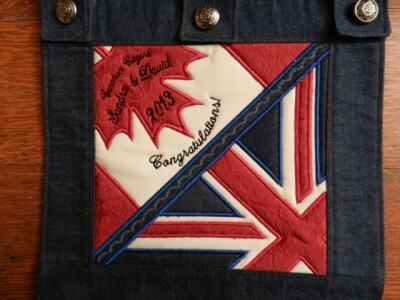 Happily, she has now found it and will be able to attend a ceremony in Vancouver soon. David and Sandra didn’t need to take the test as they are over 55. 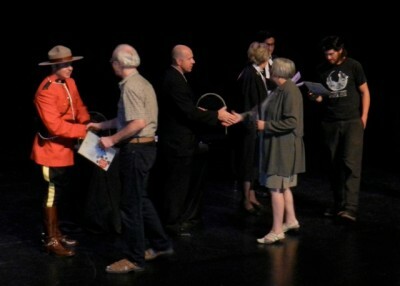 The ceremony was awesome, held in a theatre in Kelowna. 70 people from 20 different places became citizens that day, with more ceremonies held throughout the week. Sandra forgot her bible but was able to borrow one from the United Church of Canada in Castlegar on the long drive over three mountain passes the previous day. It is optional to swear the oath of citizenship on a holy book but you have to bring your own. Our solemn promise of allegiance to the Queen was spoken in English and French. So a few hiccups along the way, but a great day was had by all. 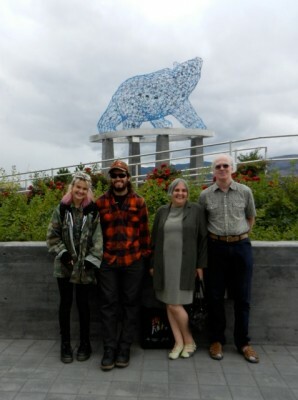 After the ceremony we all went for poutine to celebrate! Thanks to Florence’s friends who searched for her passport, Henry’s friend Andy who witnessed the ceremony and took photos, Marion from Cranbrook United Church for making the card and Sarah who said it was an honour for her church to lend a bible for the occasion. Thank you to all the Canadians who have warmly congratulated us, including our MP David Wilks, the Mayor of Fernie, our minister Jane who kindly gave us flowers and friends in Hosmer who held a dinner in our honour on our return. 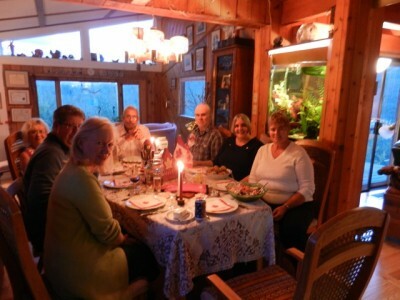 Thank you so much Lezley and Steen for a wonderful evening and Sandy Lightfoot for the amazing wallhanging. We appreciate your best wishes and feel proud to be Canadian. Sandra and David made a plate stand each for Henry and Florence to commemorate the occasion. 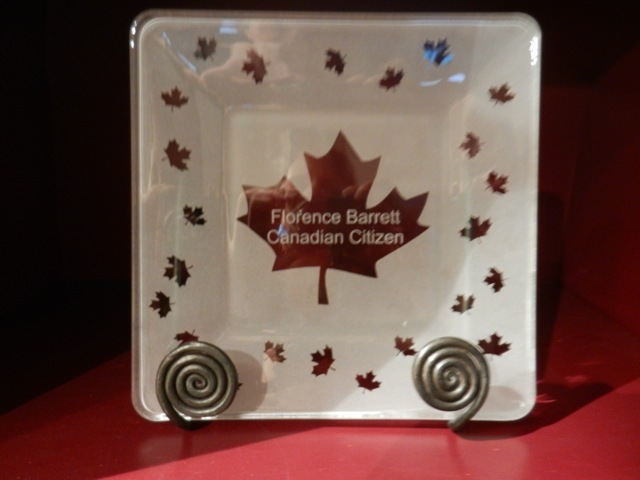 Thanks to Stephanie’s Glass in Fernie for collaborating with us and sandblasting the plates. 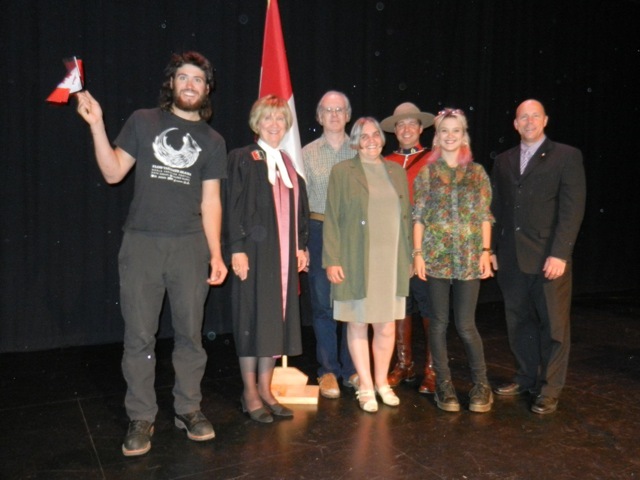 We are fortunate to have so many talented people in the Elk Valley.